This data file contains genotypes for 14 microsatellite markers linked to major histocompatibility complex (MHC) genes that were genotyped in 105 coyotes (Canis latrans) sampled in New York, New Jersey, and Connecticut. Metadata includes sample identification number and urbanization subgroup. The two subgroups include coyotes sampled within New York City (NYC) and outside of NYC (non-NYC). Please see the map provided in Figure 1 to better visualize sampling locations. Missing genotype data is indicated with zeros. This data file contains genotypes for nine neutral microsatellite markers that were genotyped in 105 coyotes (Canis latrans) sampled in New York, New Jersey, and Connecticut. Metadata includes sample identification number and urbanization subgroup. The two subgroups include coyotes sampled within New York City (NYC) and outside of NYC (non-NYC). Please see the map provided in Figure 1 to better visualize sampling locations. Missing genotype data is indicated with zeros. Theory predicts that range expansion results in genetic diversity loss in colonizing populations. Rapid reduction of population size exacerbates negative effects of genetic drift, while sustained isolation decreases neutral variation. Amid this demographic change, natural selection can act to maintain functional diversity. Thus, characterizing neutral and functional variation is critical for disentangling the evolutionary forces that shape genetic variation in newly established populations. Coyotes (Canis latrans) provide an ideal study system for examining the genetic effects of urban colonization. Capable of thriving in environments ranging from natural to highly urbanized, this mobile carnivore recently established a breeding population in New York City (NYC), one of the most densely populated areas in the United States. In the present study, we characterized neutral and functionally linked genetic diversity on a regional scale, traversing NYC and its surrounding counties in the New York metropolitan area. We report decreased variation and significant genotypic differentiation in NYC coyotes following recent colonization of this super-urban environment. In accordance with our hypotheses, we observed evidence for a recent population bottleneck as coyotes entered NYC. Counter to our expectations, we found only minimal support for selection maintaining diversity at immune-linked loci. These findings suggest that stochastic processes, such as genetic drift, are more likely driving patterns of decreased variation in super-urban coyotes. 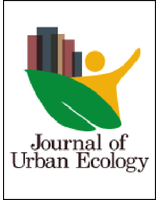 This work not only improves our understanding of NYC’s newest inhabitants, but also contributes to the growing body of knowledge surrounding urban colonization ecology. It highlights the importance of examining both neutral and functional variation when assessing the roles of drift and selection in newly established populations. When combined with similar studies across diverse systems, these insights can aid wildlife management and green design to better facilitate gene flow and maintain healthy populations of wildlife in an increasingly urban world.